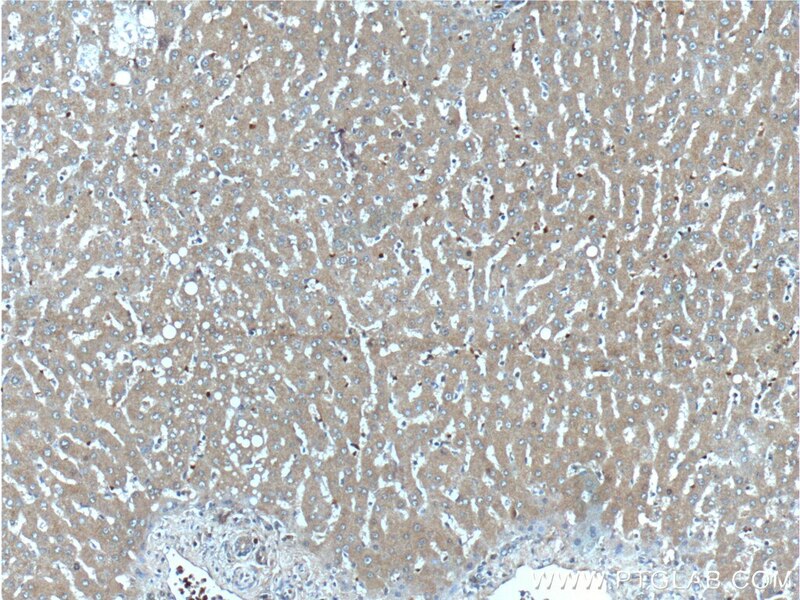 Immunohistochemical analysis of paraffin-embedded human liver tissue slide using 18302-1-AP( Angiogenin antibody at dilution of 1:100 (under 10x lens). 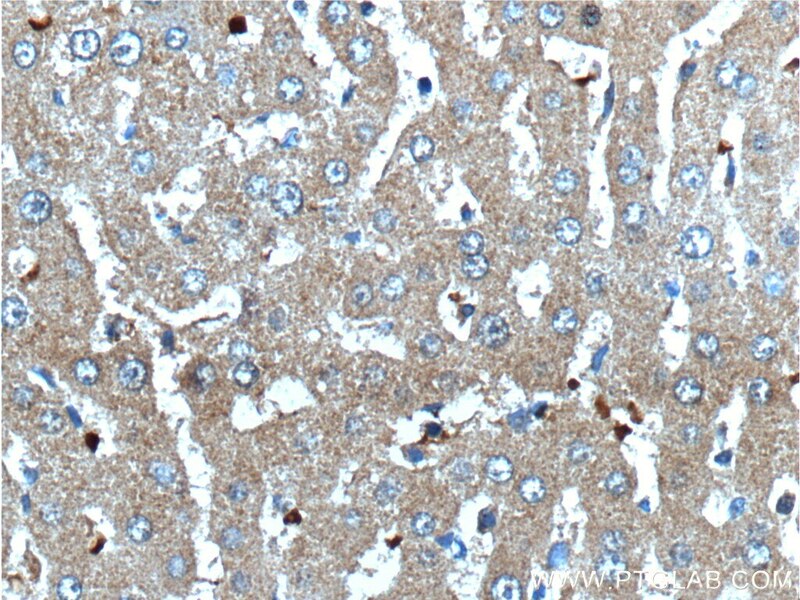 Immunohistochemical analysis of paraffin-embedded human liver tissue slide using 18302-1-AP( Angiogenin antibody at dilution of 1:100 (under 40x lens). Angiogenin (ANG), an angiogenic ribonuclease, is a member of the vertebrate-specific, secreted RNASE superfamily. Angiogenin, originally identified as a tumor angiogenic factor, was related with the growth and metastasis of numerous tumors. Angiogenin has been proposed as a permissive factor for angiogenesis induced by other angiogenic factors, including vascular endothelial growth factor (VEGF), basic fibroblast growth factor, acidic fibroblast growth factor, and epidermal growth factor. Angiogenin production and secretion may be stimulated by hypoxia. Increased angiogenin serum levels have been associated with the incidence and severity of several human tumors, including HCC. It is a 17 kDa precursor which is cleaved to generate the 14 kDa mature protein. Bone Marrow-Derived Mesenchymal Stem Cells Repair Necrotic Pancreatic Tissue and Promote Angiogenesis by Secreting Cellular Growth Factors Involved in the SDF-1 α /CXCR4 Axis in Rats.